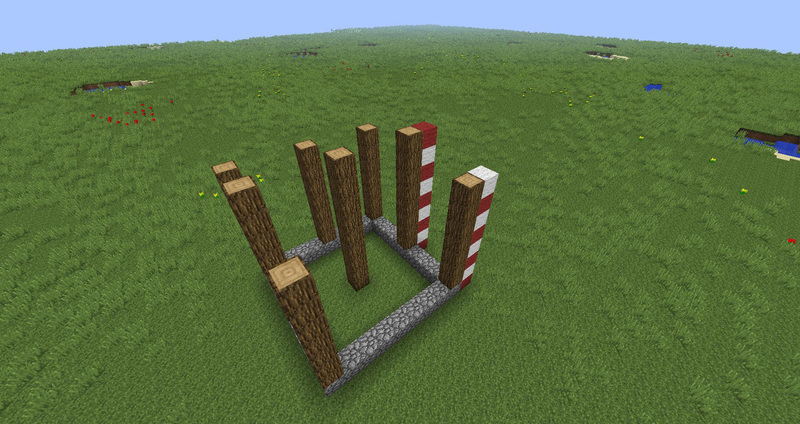 Now build a few towers/poles out of logs. 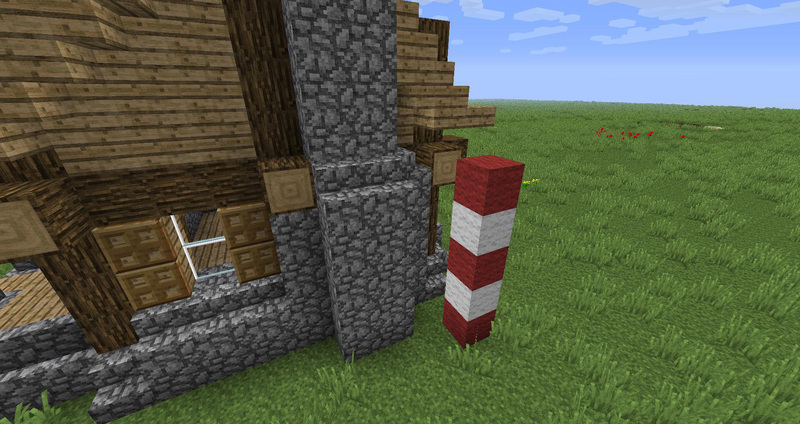 The poles in the middle are 9 blocks tall, the other poles are 8 blocks tall. 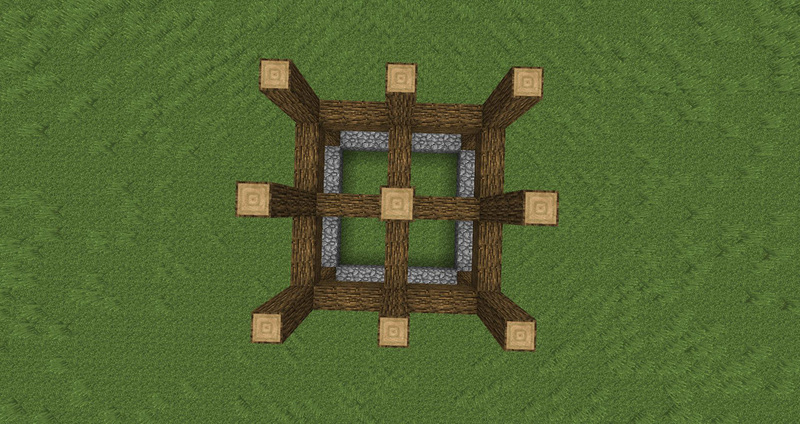 These dimensions include the cobblestone wall. 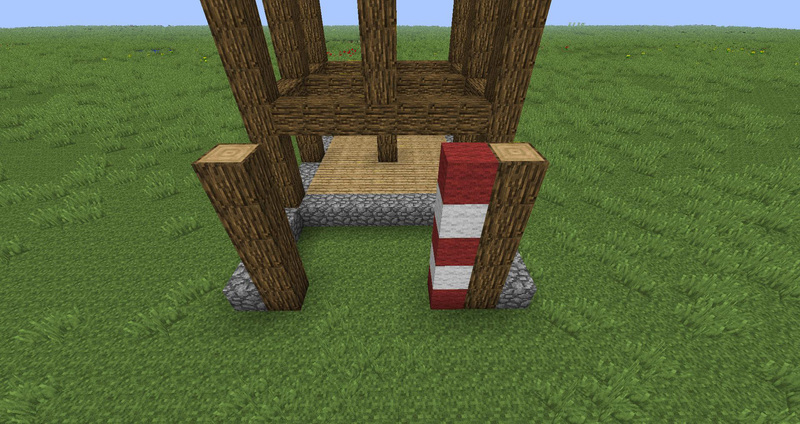 Connect the two poles up front with a horizontal beam and put another small pole on the middle of it. 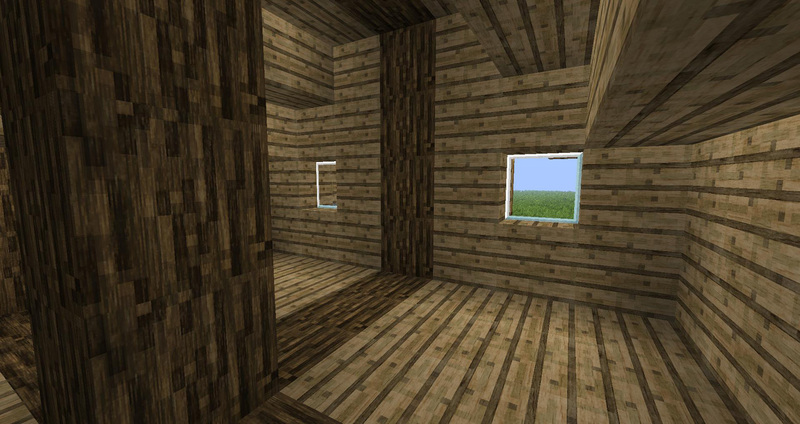 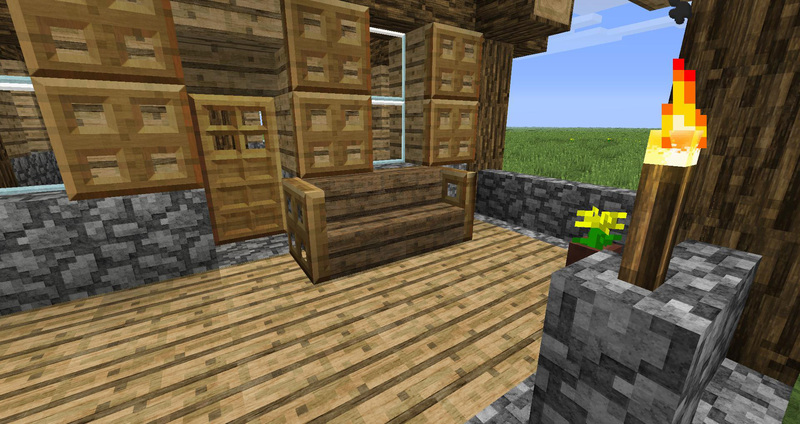 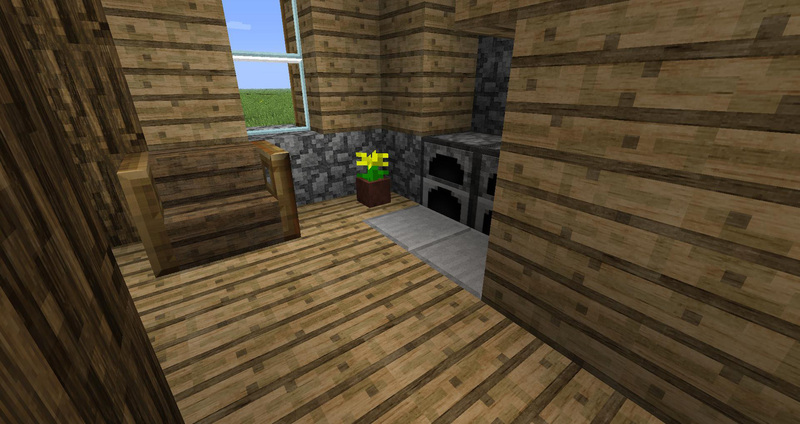 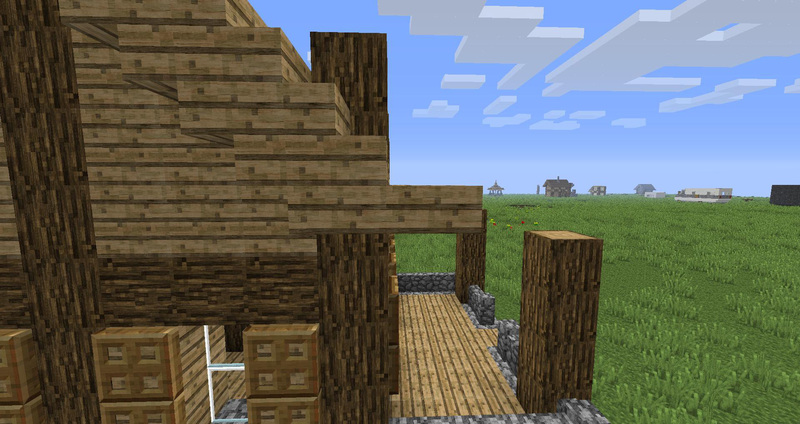 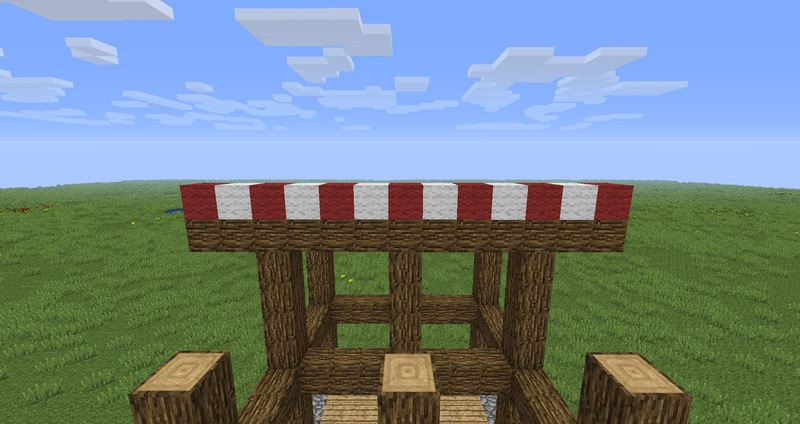 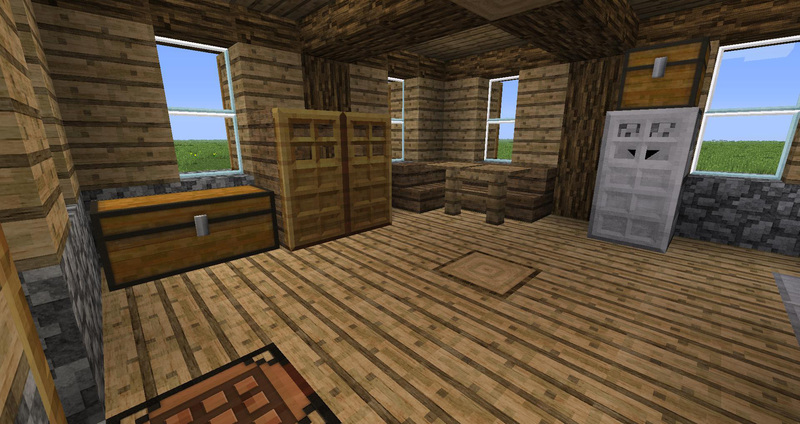 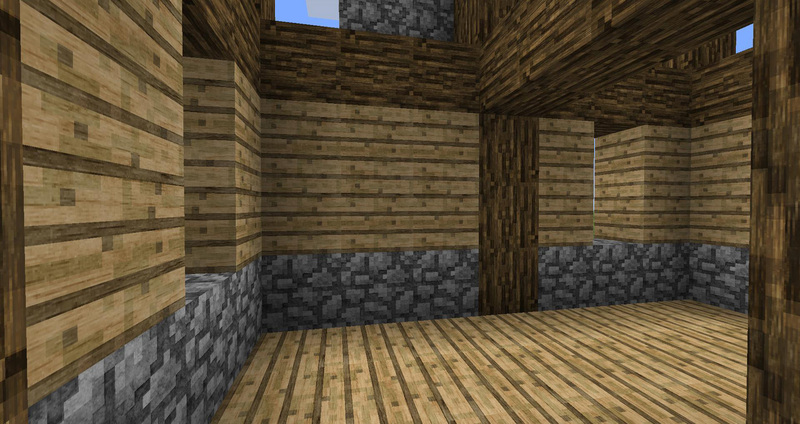 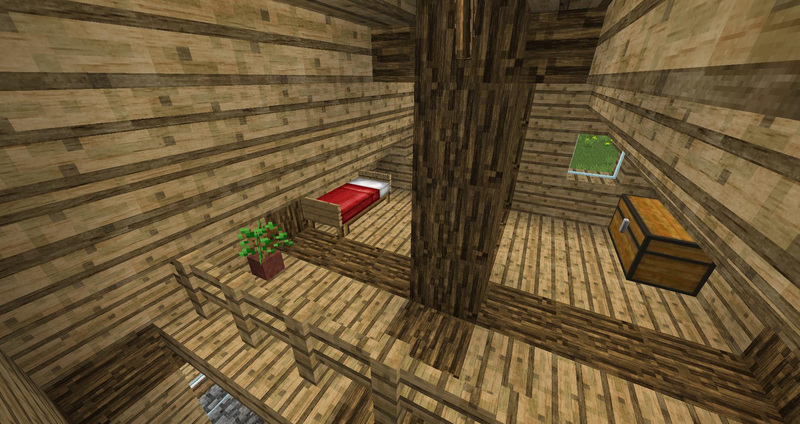 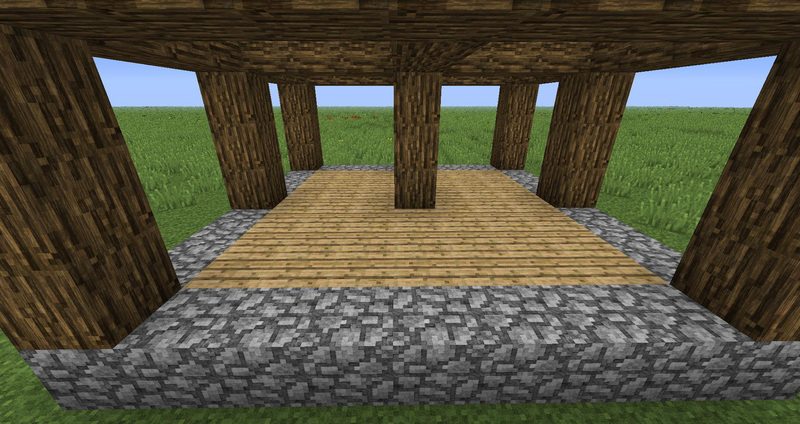 Fill up the square with wooden planks for a floor. 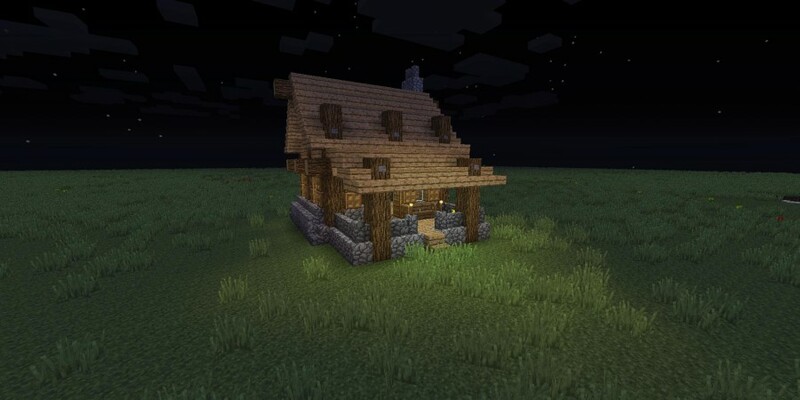 Nothing much to say. 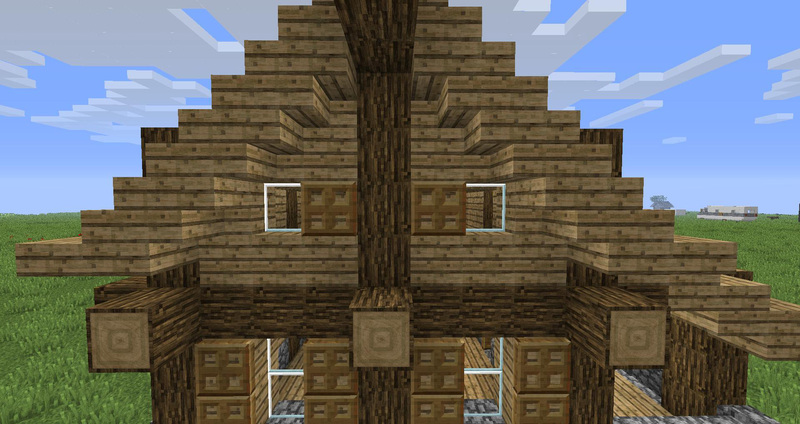 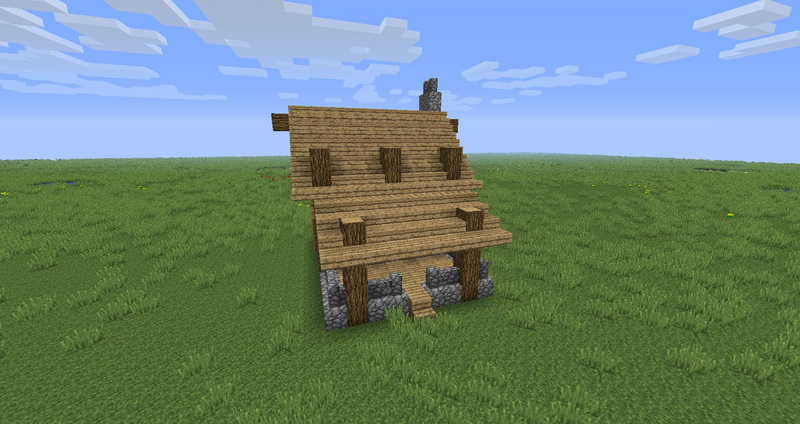 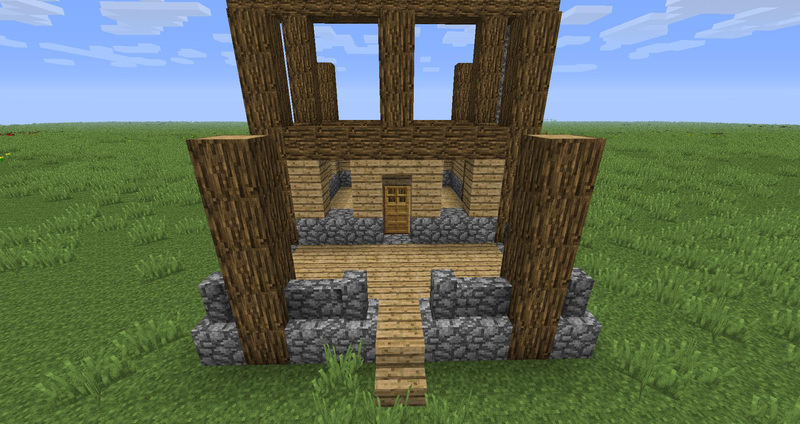 Note that this is the front of your cabin. 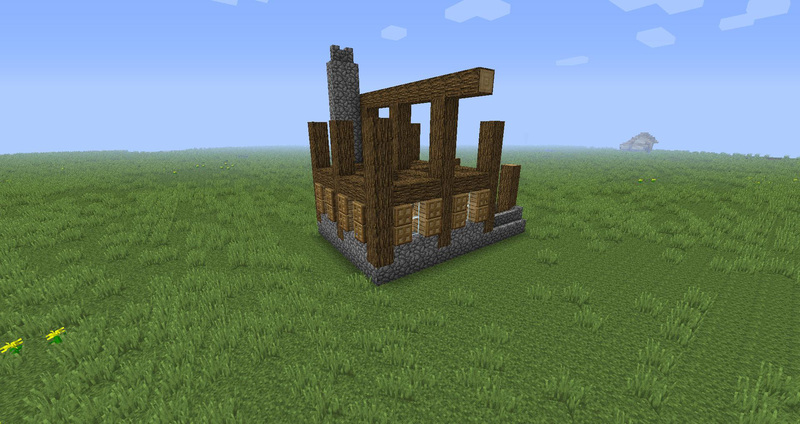 … except for where the chimney is going to be. 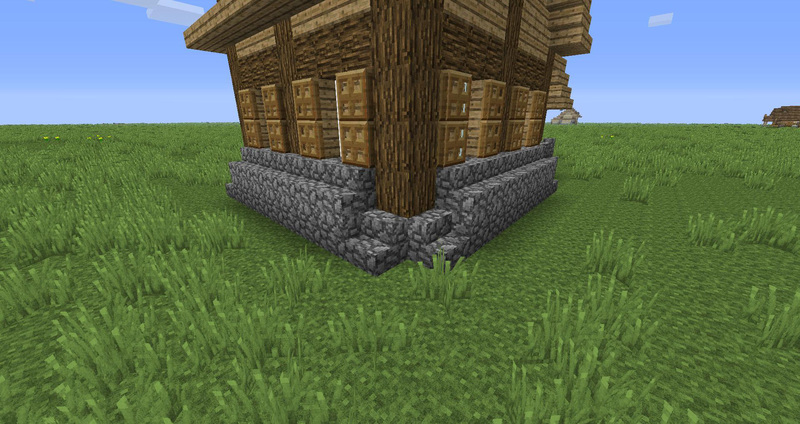 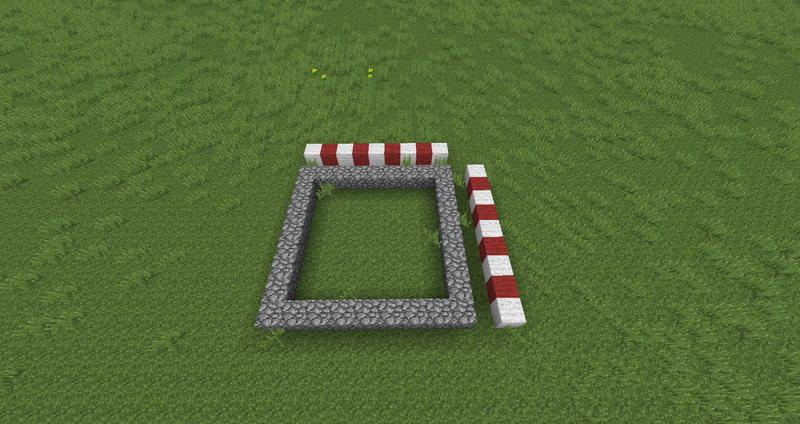 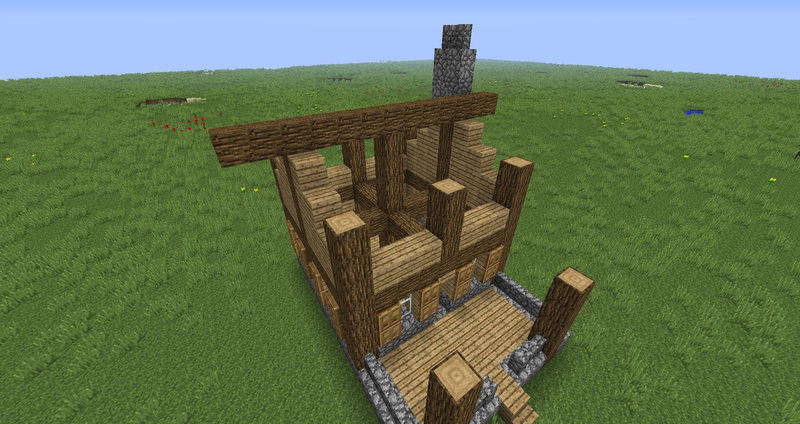 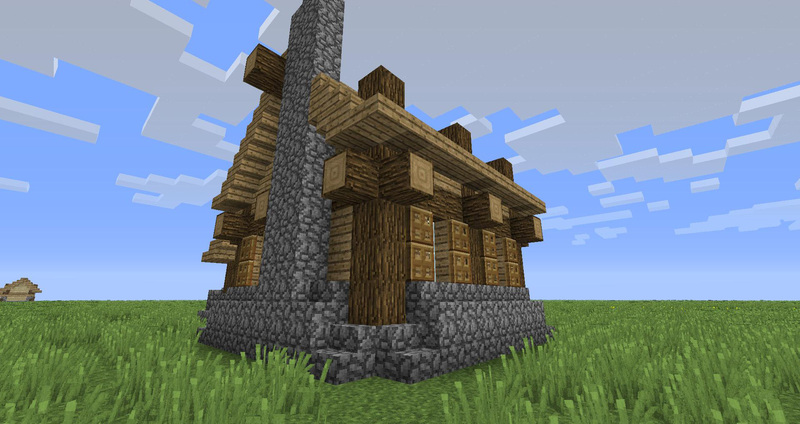 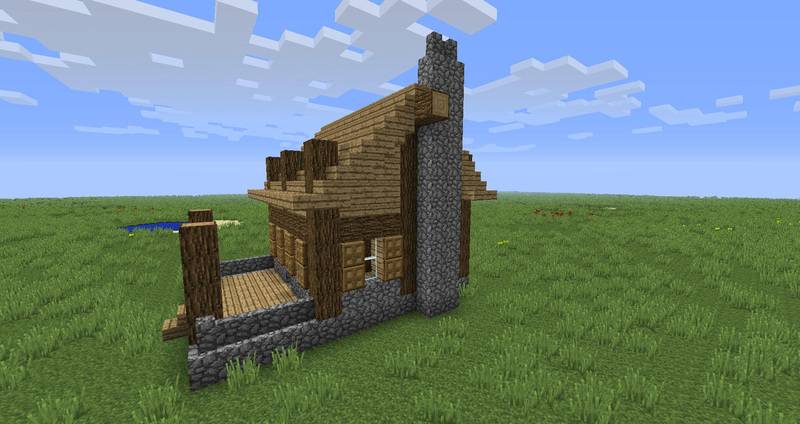 Add cobblestone stairs and blocks to support the walls. 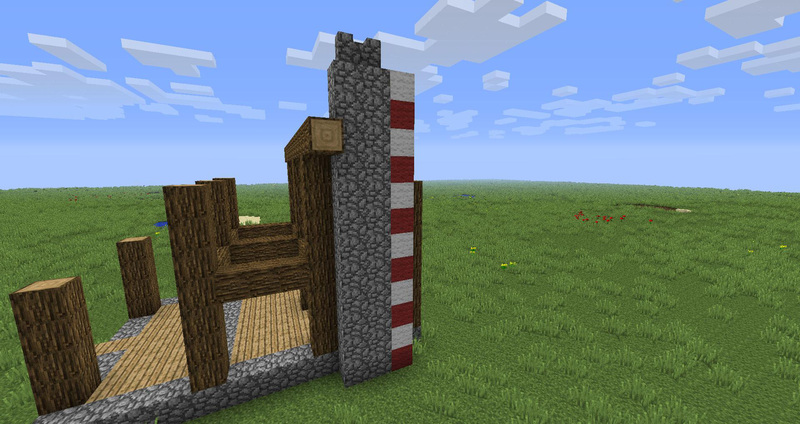 And finish the chimney with 5 block high supports. 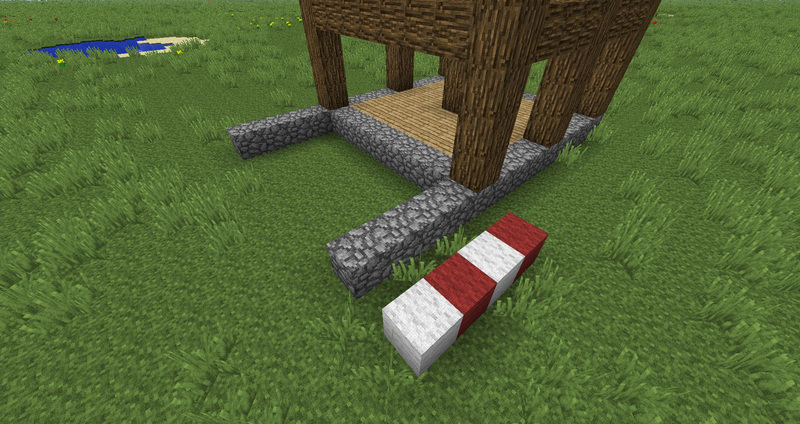 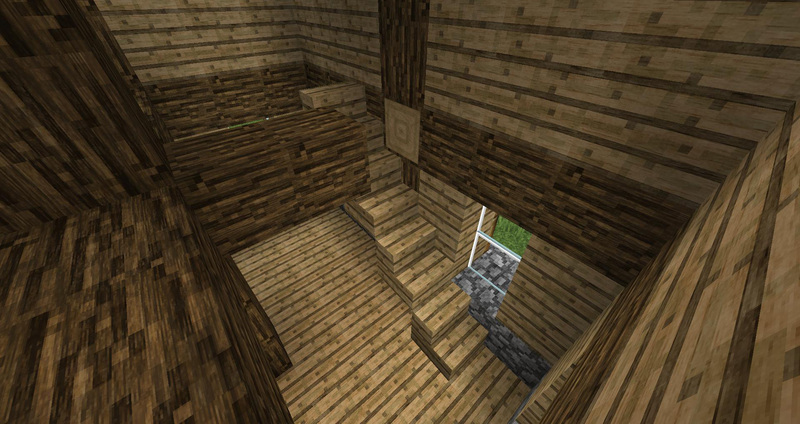 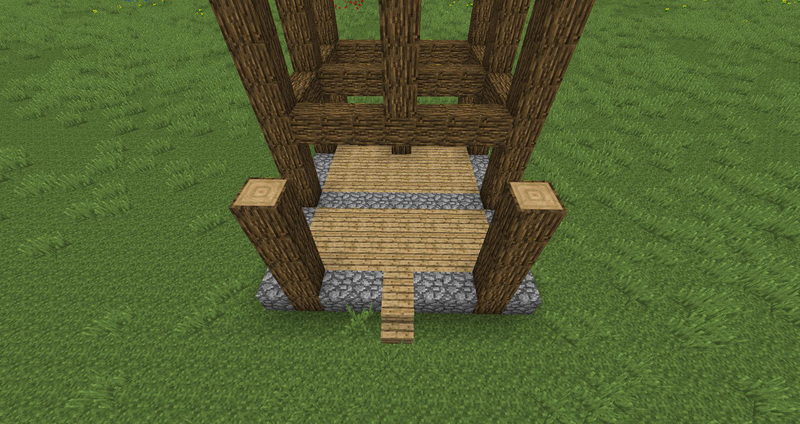 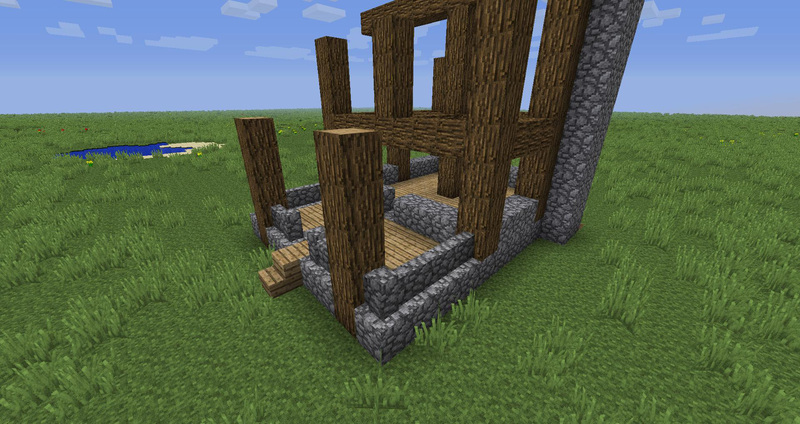 Make the stairs look a little better from below by adding upside down stairs. 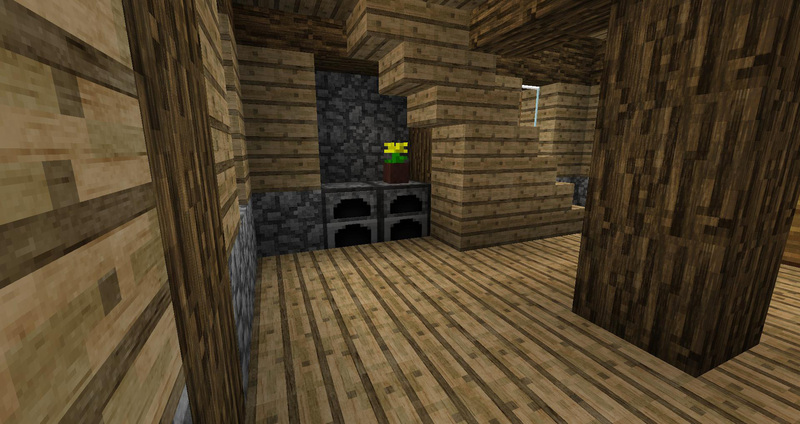 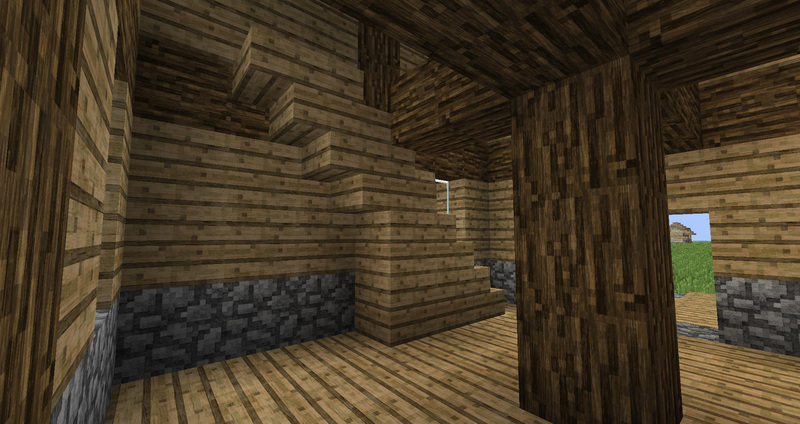 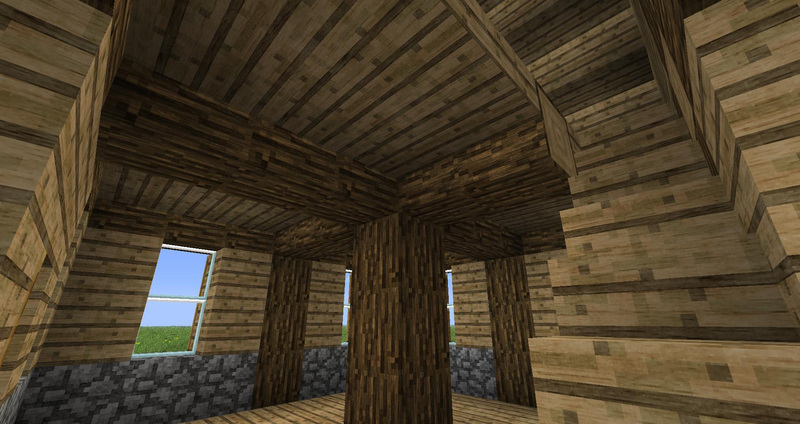 The ceiling is made of slabs, so the logs give a cool effect. 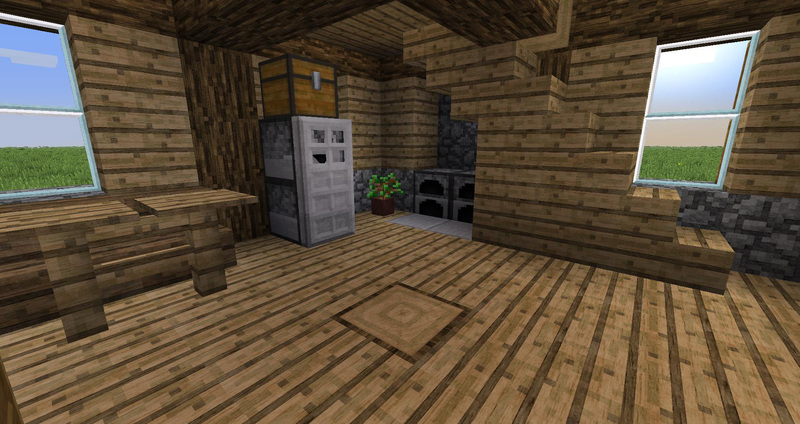 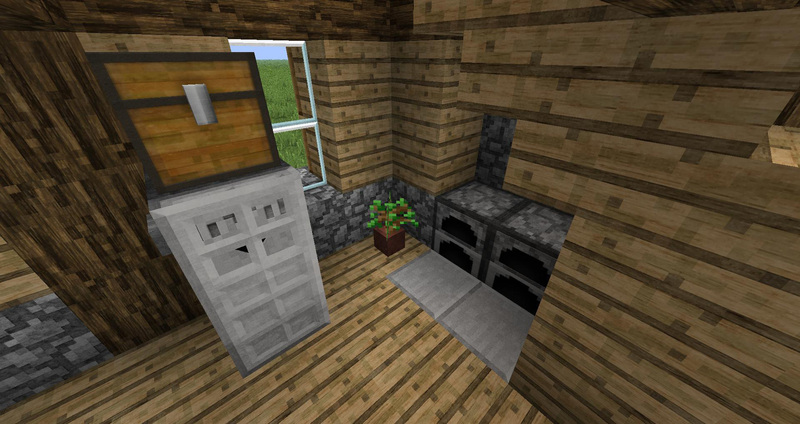 The kitchen, with a working fridge and a food chest. 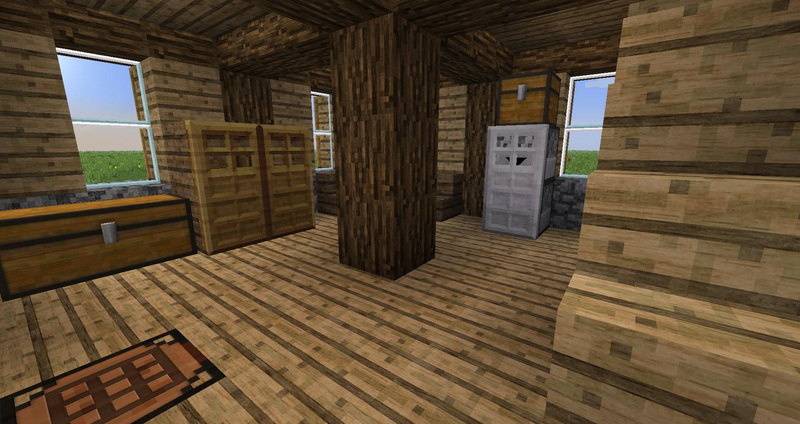 and there’s the interior *with* the pillar. 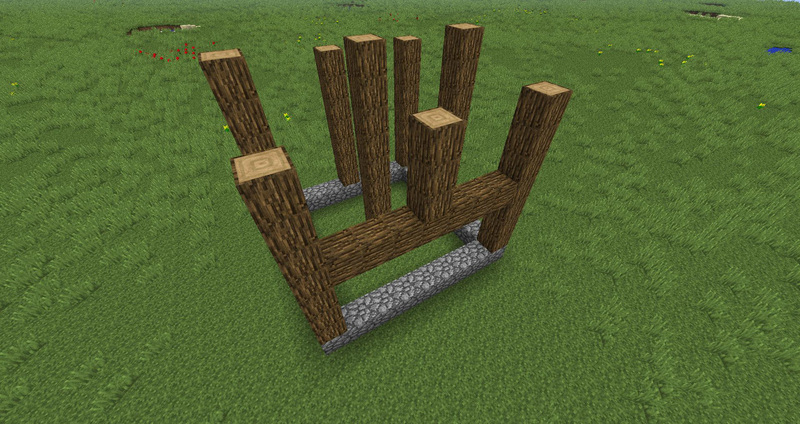 Here’s an enchanting table. 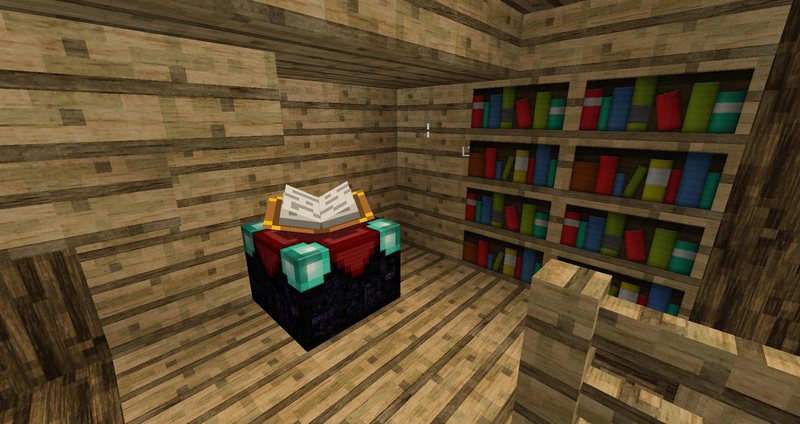 The books will be where the chimney is so don’t worry.